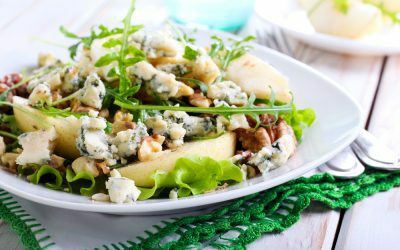 Combine lettuce, pears, blue cheese, and walnuts in a large salad bowl. Drizzle with rice vinegar and toss to coat. Serve immediately. Exchanges per serving: 1 vegetable, 1 fat, 1/2 other carbohydrate. Carbohydrate choices: 1.